When the sun comes out so do Londoners, but sussing out the city’s suntraps takes some work. We drank our way around town so you didn’t have to and have compiled a selection of the capital’s finest outdoor drinking spots, whether for wine by the water or a few alfresco ales. Tucked away just off Upper Street, Georgian gastropub The Albion boasts a spacious and picturesque garden complete with a willow tree and trailing wisteria. It feels much more rural than you ever knew N1 could, and also offers a roast dinner that’s up there with the capital’s best. The garden at this proper boozer is enormous – by London terms at least. To add to the fairly decent selection of booze and food, you can often catch live music and events, too. This quirky pub is run by a collective of creatives, and it shows in the abundance of art pieces and regular music sets. The garden is also pretty special, having been decked out like a traditional pub’s inside with sofas, lamps and lots of cushions. On sunny days the large concrete space between this pub and the river floods with Londoners eager to make the most of the weather. Outside service areas mean you don’t even need to venture inside to refill, and throughout the summer barbecues comes as standard of a weekend. It gets pretty busy, but that’s all part of the charm. When the National Theatre completed a major refurb towards the end of last year, one of the most notable changes was the arrival of this craft beer bar overlooking the river. It comes with at least 12 beers on tap, scores more by bottle and a tank of unpasteurised Meantime lager, brewed down river in Greenwich. 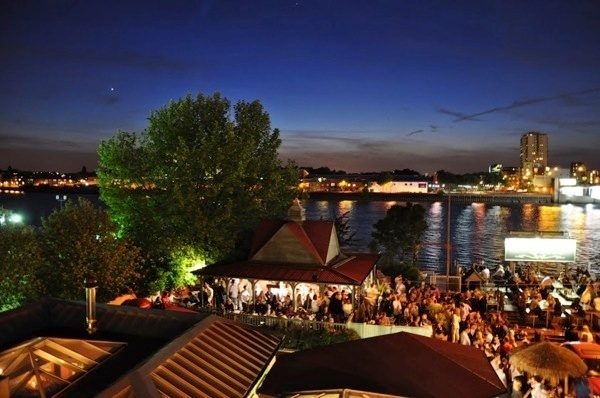 If you’re not content with the view from the floor-to-ceiling windows, head out to the benches to drink by the Thames. This characterful old boozer really does have the best of both worlds. It comes with outside space right by the Thames (including a terrace where waves lap at your feet) so you can make the most of the nice weather, but also has a cosy open fire inside to warm you up if it doesn’t hold out. 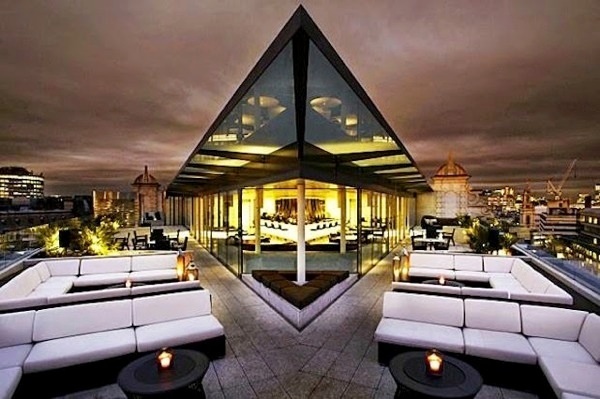 This plush cocktail bar on the top of ME London hotel (http://www.melia.com/en/hotels/united-kingdom/london/me-london/index.html) is pretty impressive looking in itself, thanks to a flashy asymetric design, but that has nothing on what you can see when you look out. And thanks to the bar being slap bang in the middle of town, that’s pretty much the whole of London. A high-up highlight of south London’s summer scene, this rooftop bar atop a multi-storey car park offers food, artwork, simply grilled dishes and scenic views of the City to boot. Oh, and some excellent Negronis. As well as river views, this tucked-away oasis on the South Bank comes complete with trees, wild flowers and allotments. It has its own bar area, and – given it’s not that easy to find – isn’t too overrun with tourists. 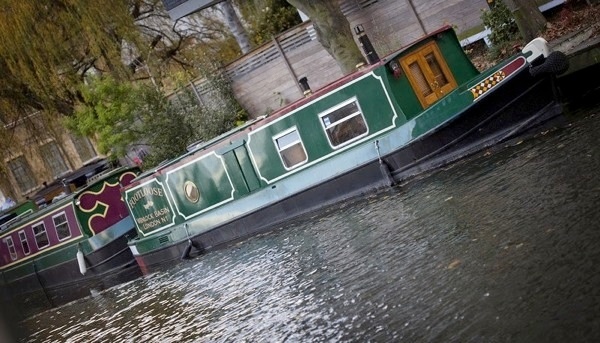 Directly overlooking the Regent’s Canal at one of its prettiest spots and with lots of outside seating, its easy to see the appeal of The Narrowboat. Pop by for a pint on a sunny day and pretend you’re somewhere much more scenic. Once a summertime-only affair, The Summerhouse in leafy Maida Vale has now gone permanent. Still, it’s when the sun is out that you want to visit. The brasserie-style food is worth a try, but otherwise the canalside tables are more than suited to exploring the drinks list. 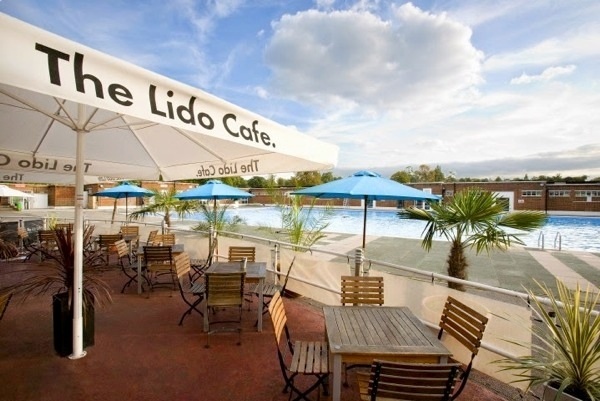 Set in Brockwell Park (close to Herne Hill, Brixton and Dulwich) this smart venue offers alfresco tables right by the lido itself, meaning you can enjoy the water without taking a dip. The offering includes prosecco breakfasts and full meals, but you could just as easily opt for a glass of wine or a craft beer. London has very few places that are prettier than St James’s Park in full bloom. Pull up an outside seat at this café, bar and eatery and sit down with a drink while you admire the view – look out for a pelican. OK, so this one’s a bit niche – moored between Lambeth and Vauxhall bridges, Tamesis Dock is a one-of-a-king brightly-coloured floating pub. Find a space on the upper deck and enjoy a drink with background noise provided by lapping waves. There’s a pretty stunning view across to Big Ben, too. 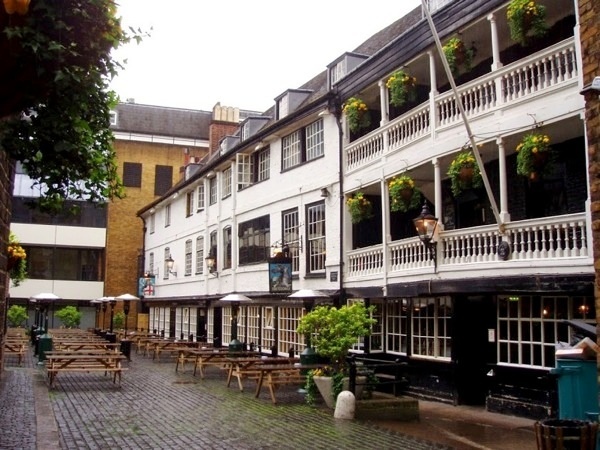 It doesn’t cut it as a beer garden as there isn’t a single blade of grass, but the large courtyard at this pub on Borough High Street is worth a mention all the same. If its size wasn’t impressive enough, its history certainly is – it dates back to the 17th Century and even gets a namecheck by Charles Dickens in Little Dorrit. 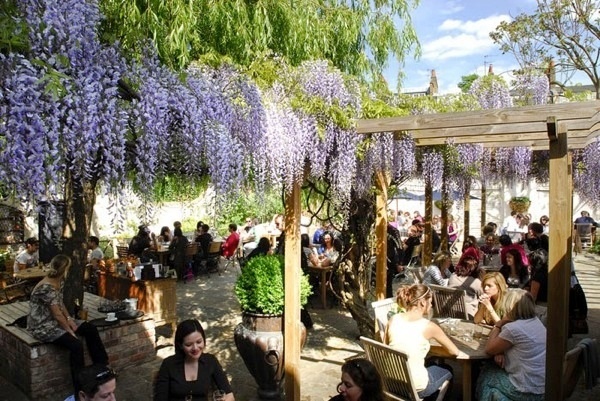 Where are the Best Beer Gardens in London? Browse our deals for bars in London. Ben Norum has been writing about London’s food and drink scene for more than six years, watching it change and grow considerably in that time. He has contributed to publications including Time Out, Square Meal and the Standard and is food and drink editor at Londonist. He has also helped set-up and run various markets and food festivals across town, as well as flipping the odd burger. If not in a restaurant, bar or pub he’s most likely to be found annoying his neighbours by using a food smoker on his balcony. Follow Ben on twitter @BenNorum.